Very Good Phone and powerful juice. Even better than Samsung Edge 6 and any other high end phones. Truly worth the price. Loudspeaker is not loud at all. The worst phone I've ever bought. It only last 2 days, after that, the screen break and now I cannou find another one. I don't know how the battery is, or the gaming experience, cuz' it only last TWO DAYS! I think if you want to during this phone you must have more watch with phone! Because the phone are great!!! Any phone,you don`t watch that,it`s broke or anythingelese!!! i used it last 10 months. 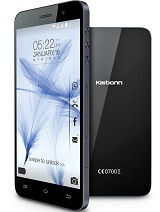 Total of 79 user reviews and opinions for Karbonn Titanium X.